Click the operation status tab at the top of the Ambari window. 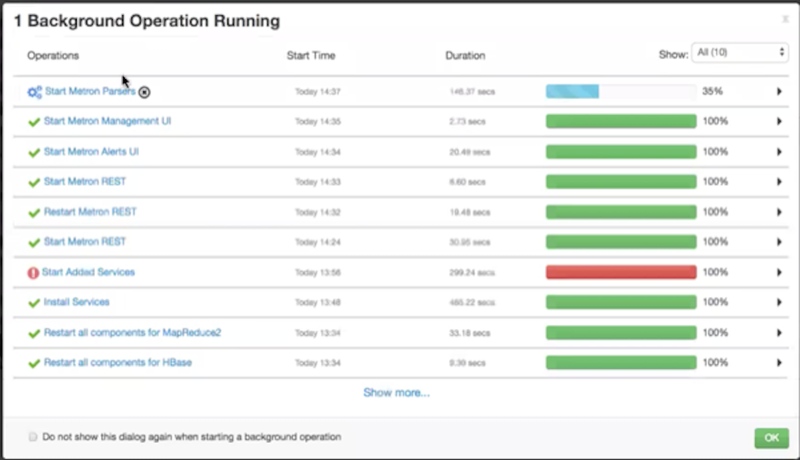 Ambari displays the Operations Running Status window. 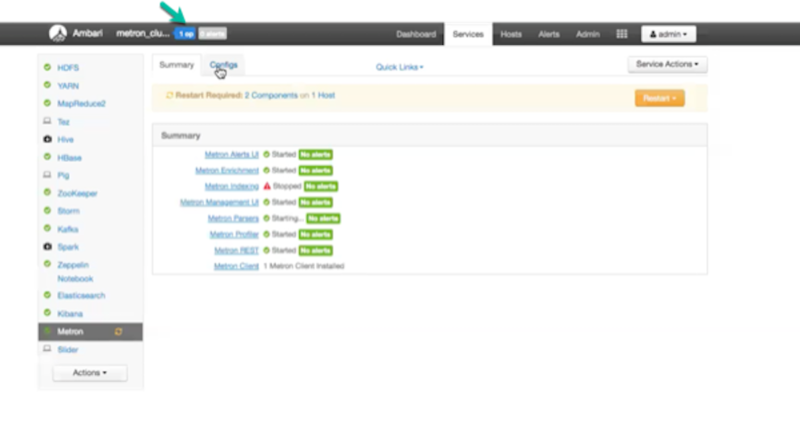 Ambari displays the Start Metron Parsers window. 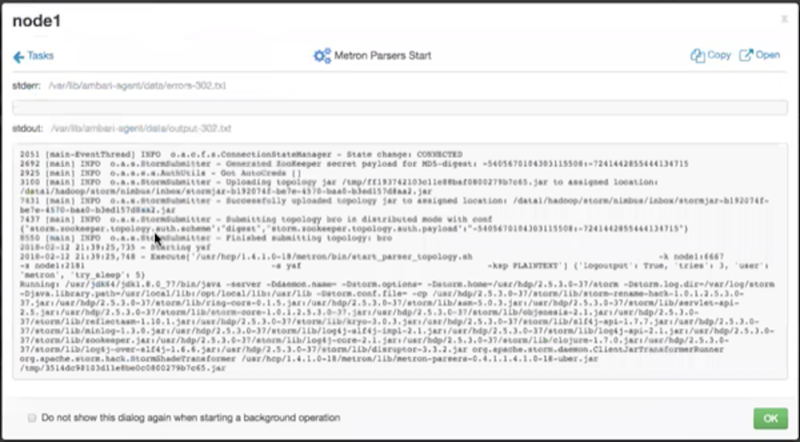 Click the parser node you want to check, then click Metron Parsers Start. Ambari displays information on the status of the parser. Review the information in this window to determine the status of your parsers.